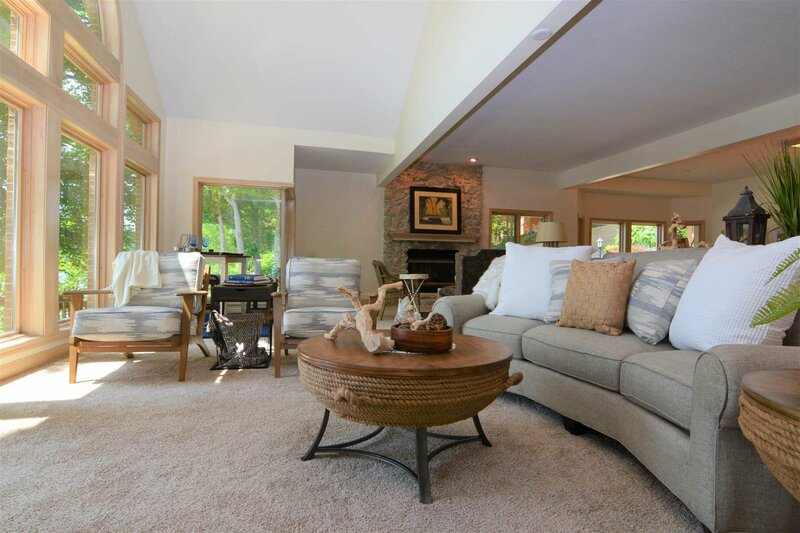 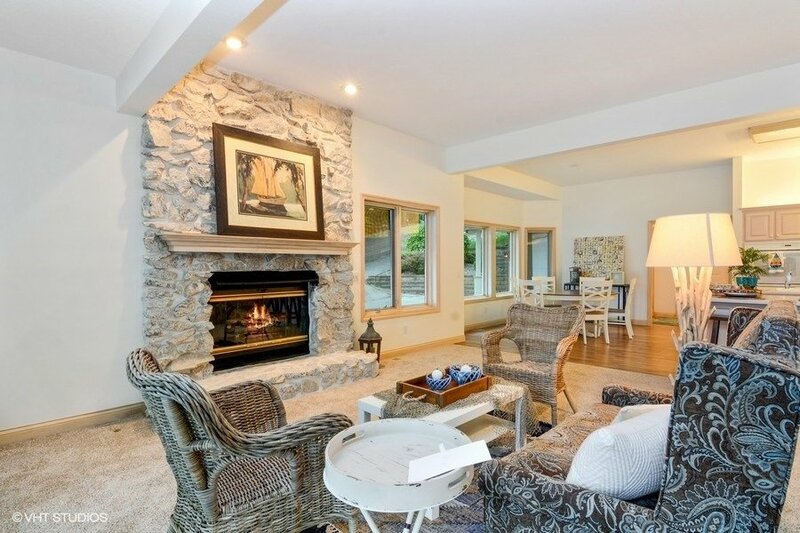 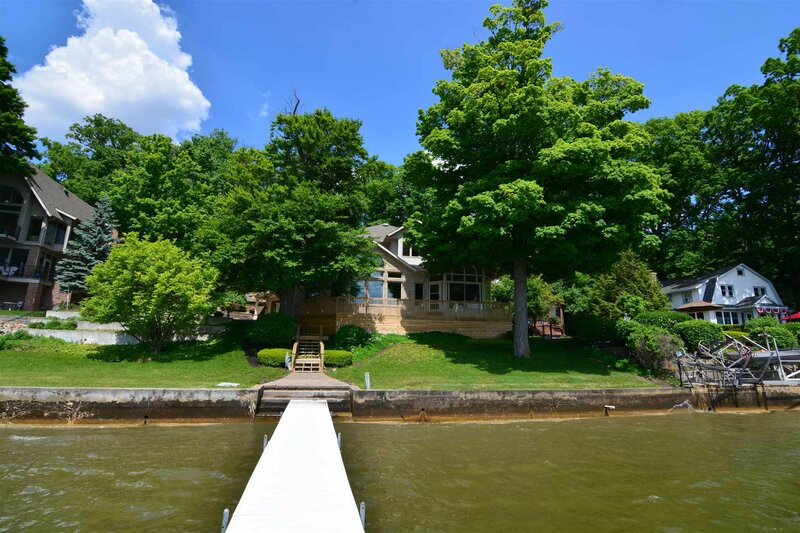 Welcome to this unique custom built home on eastern shoreline of Lake Tippecanoe. 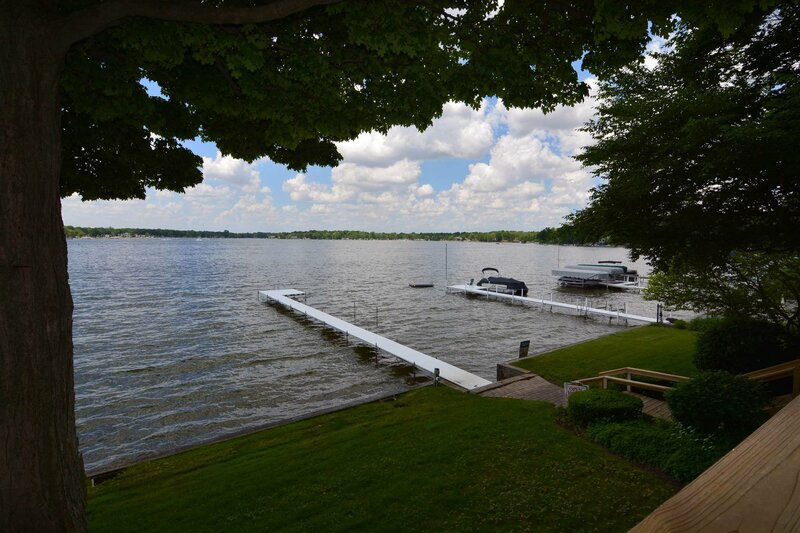 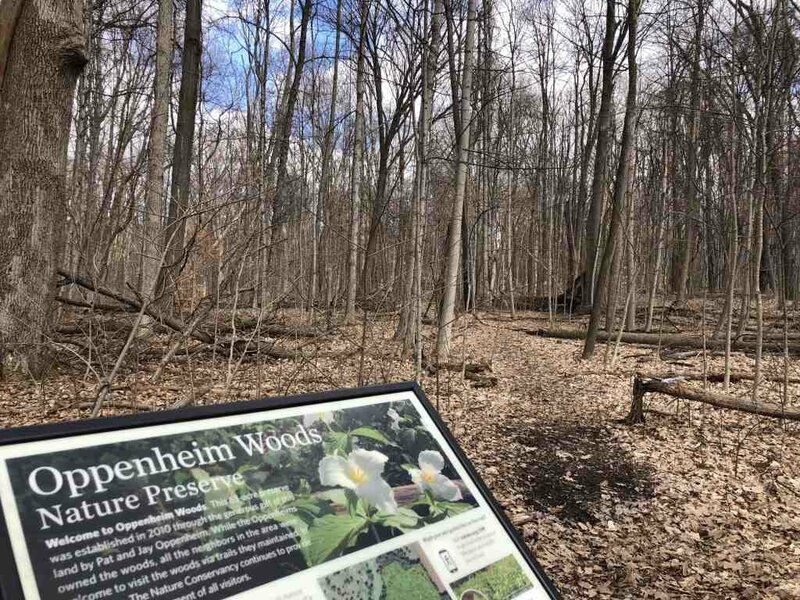 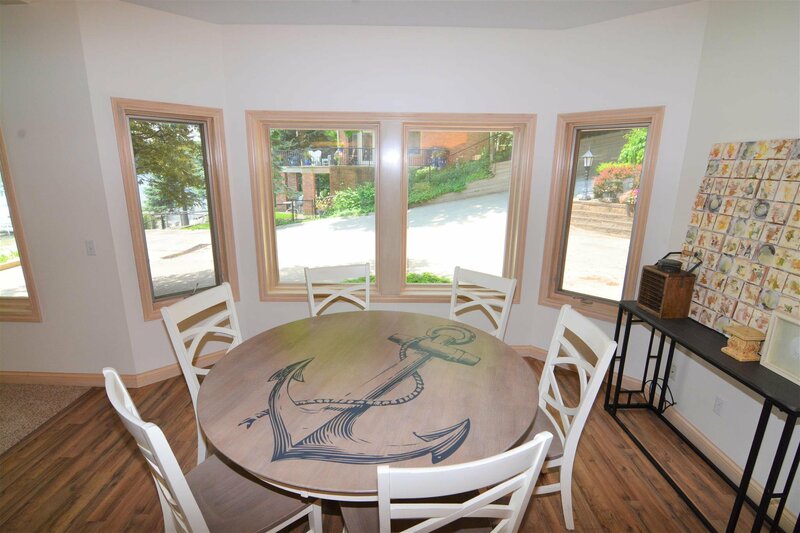 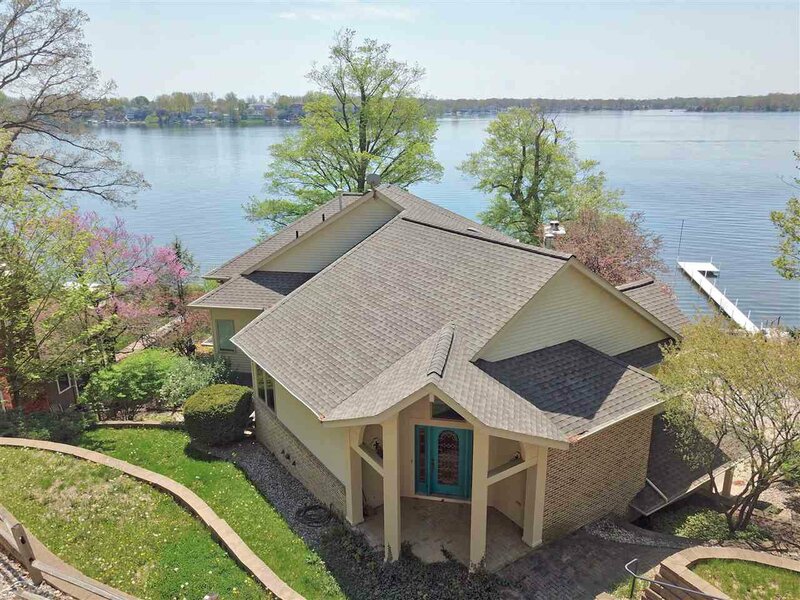 This location provides you with spectacular sunset views across the lake and panoramic lake views of beautiful Lake Tippecanoe. 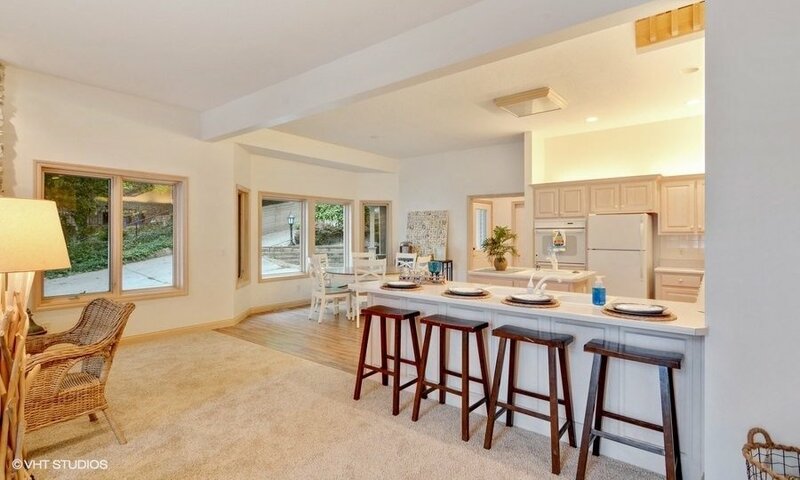 This home has over 6,000 sq foot of living space as well as a completely unfinished lower level that could add additional square footage if it was needed. 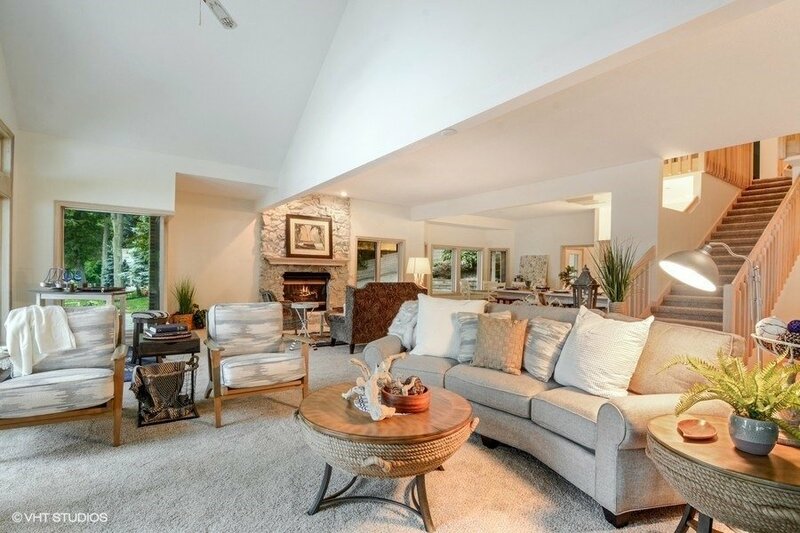 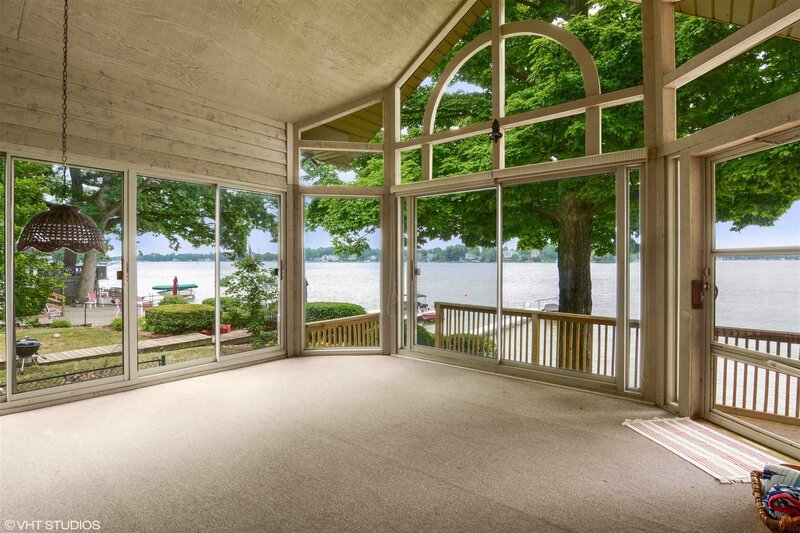 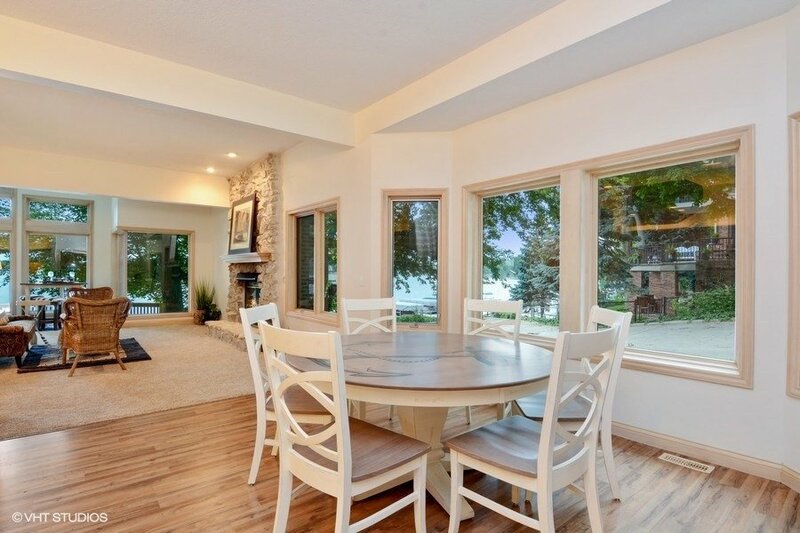 There are spectacular lake views from many rooms in this home - including the great room. 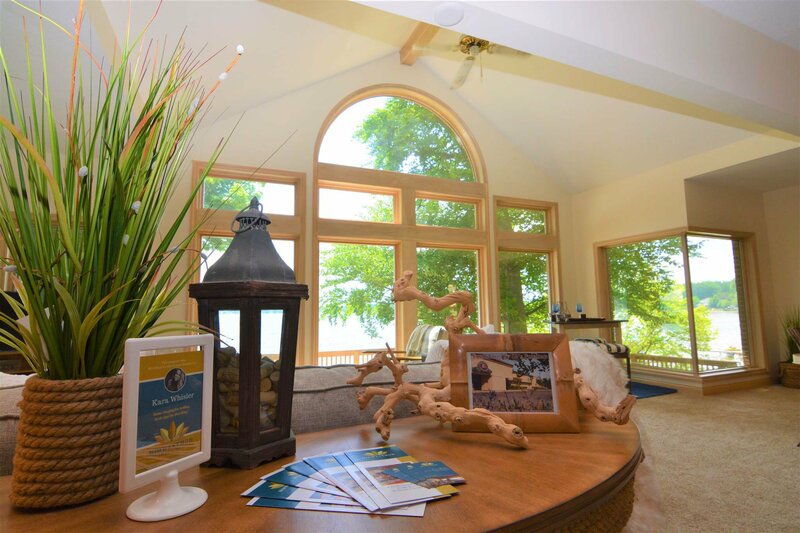 As you walk in the foyer of the home, you are drawn immediately to the floor-to-ceiling windows that showcase this beautiful lake. 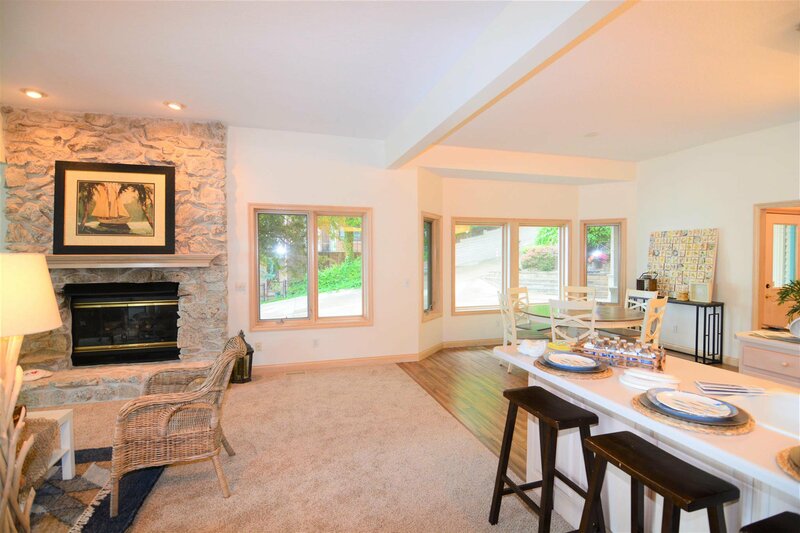 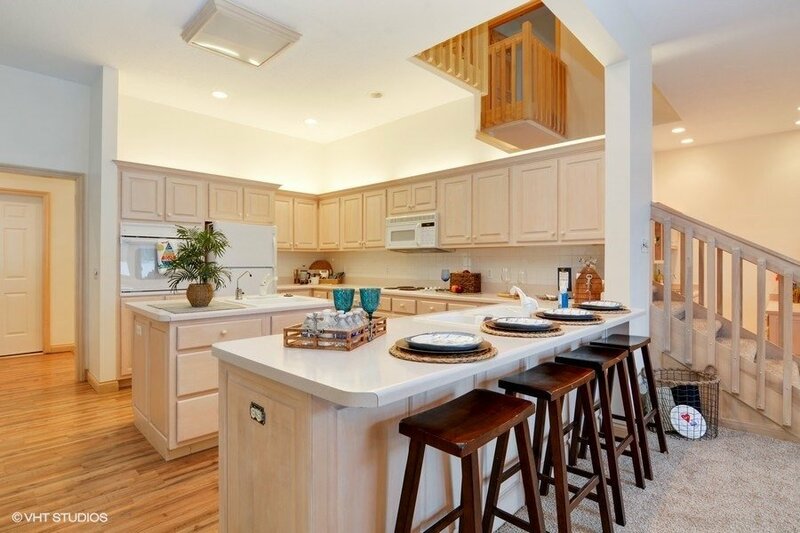 There is a fireplace, wet bar, large kitchen, and dining area all in this open space. 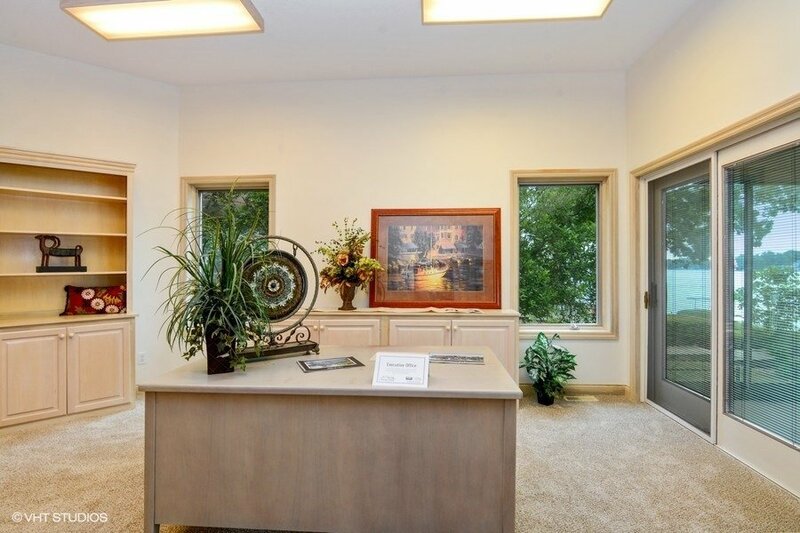 There is an office with built-in shelving and a desk - but you could easily convert this space and the "Hot Tub" room into a main level master suite or additional guest suite. 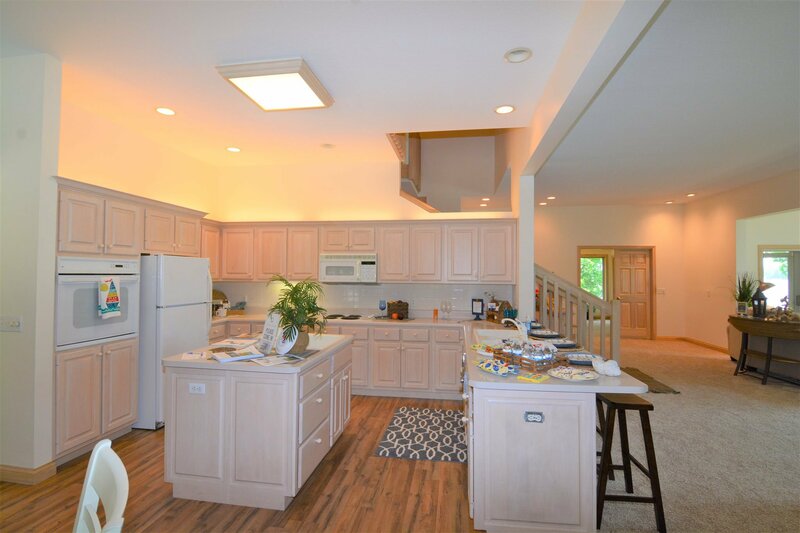 There is a half bathroom with walk-in closet already in place and there is plenty of room for a shower to be put in there as well. 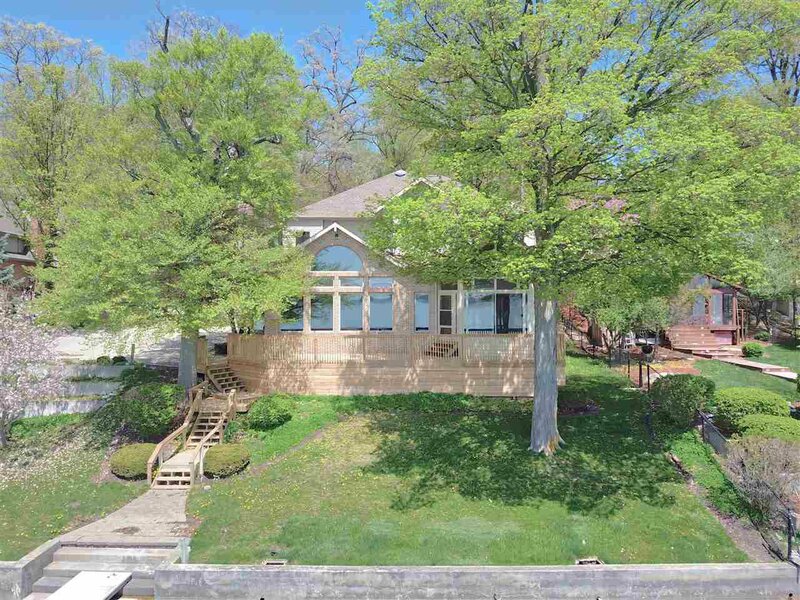 Off the front of the home, there is a screened porch and deck that spans the full length of the house. 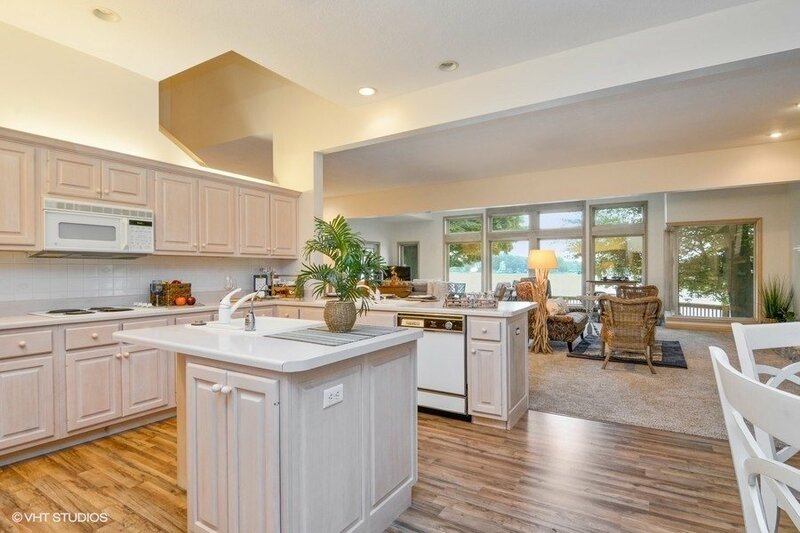 Back inside, you will find a second kitchen area - nearly hidden off the garage - which could be an ideal spot for your lake dog spa/washing station. 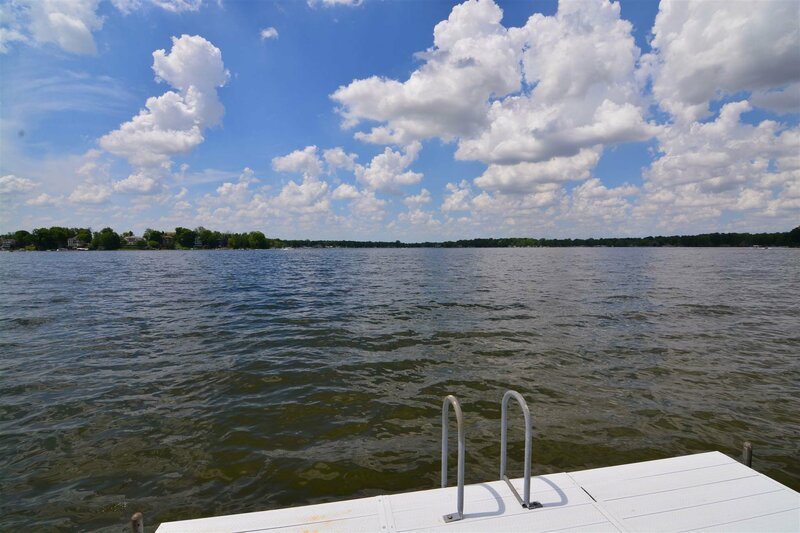 There is a main level laundry room along with bathroom off the foyer - which is conveniently located for lake enthusiasts. 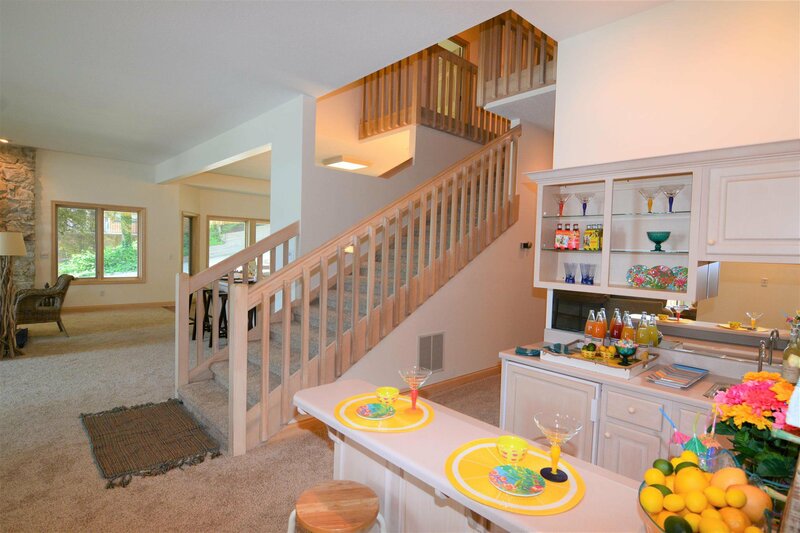 As you stroll upstairs, you will find a 2nd foyer that can be used - or close this area off and create yet another bedroom if needed! 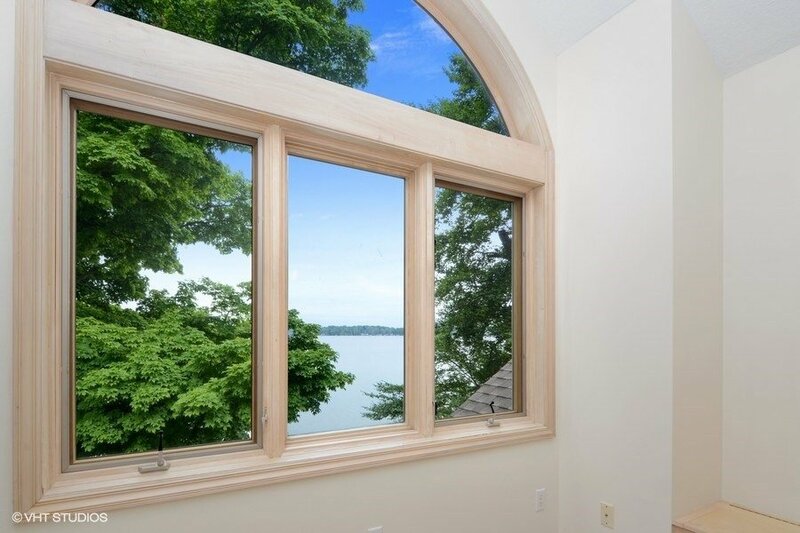 Each bedroom is oversized and all have lake views from them. 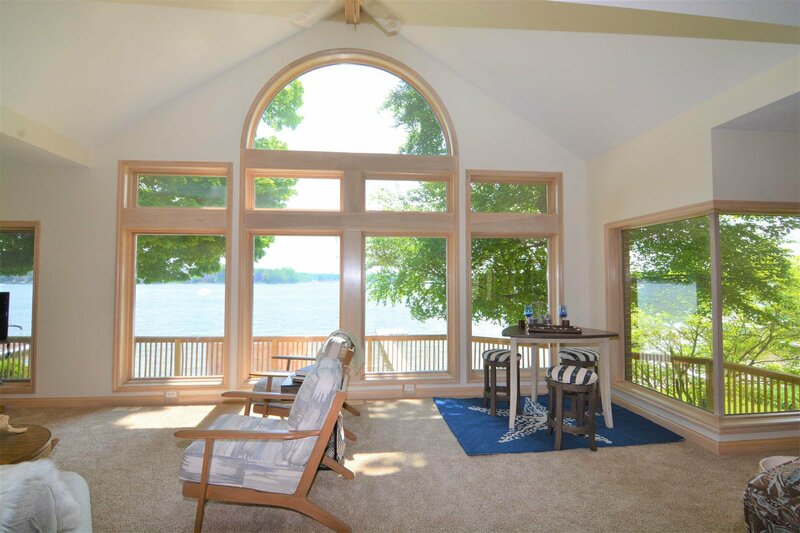 The master suite is spacious and accented by trey ceilings as well as a separate reading nook that is lakeside for a relaxing spot off the master. 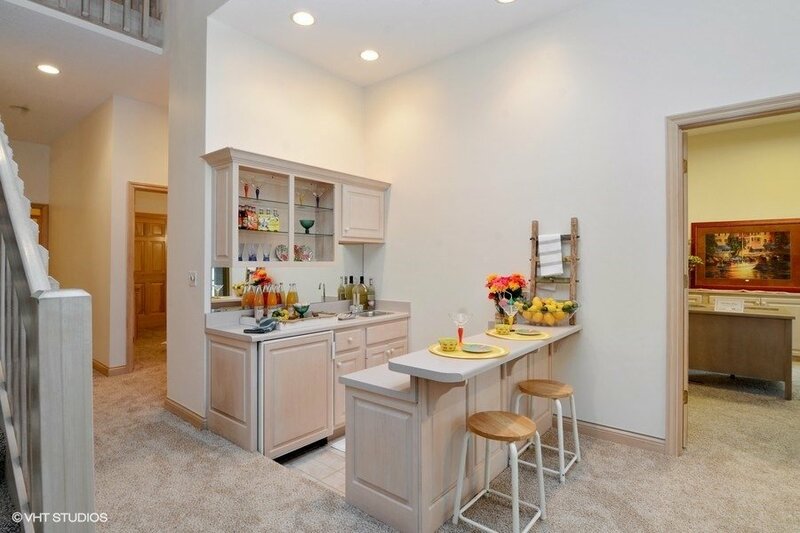 2 walk-in closets as well as very large master bathroom complete this space. 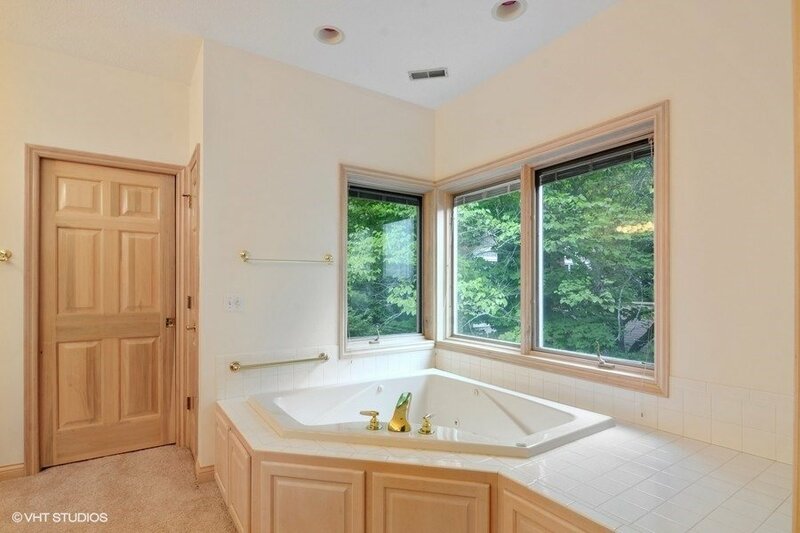 There is a double vanity, jetted tub, shower and linen closet all in the master bathroom. 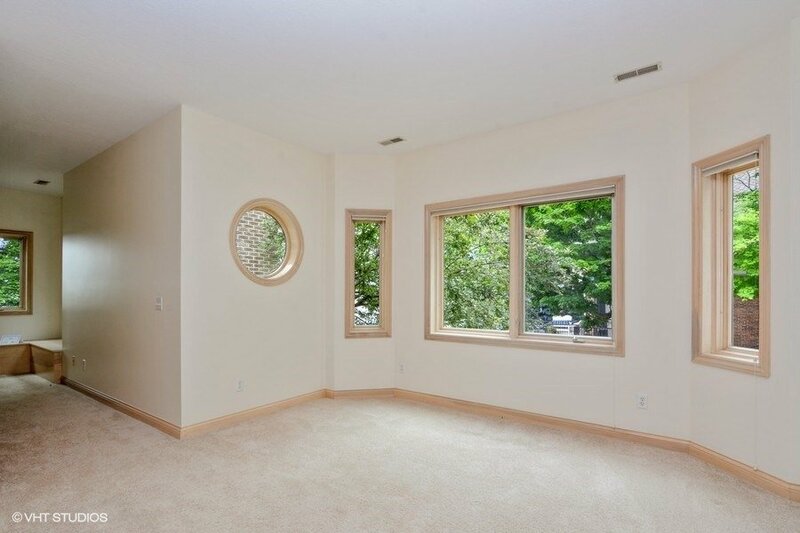 The guest bedroom also features a separate area that could be ideal for bunk beds, a reading area, home work area, etc. 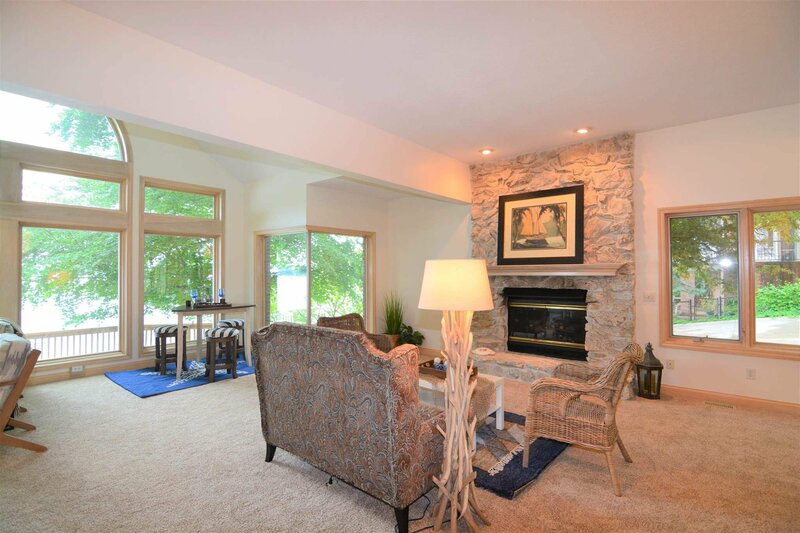 - the room itself is quite large and has a walk-in closet. 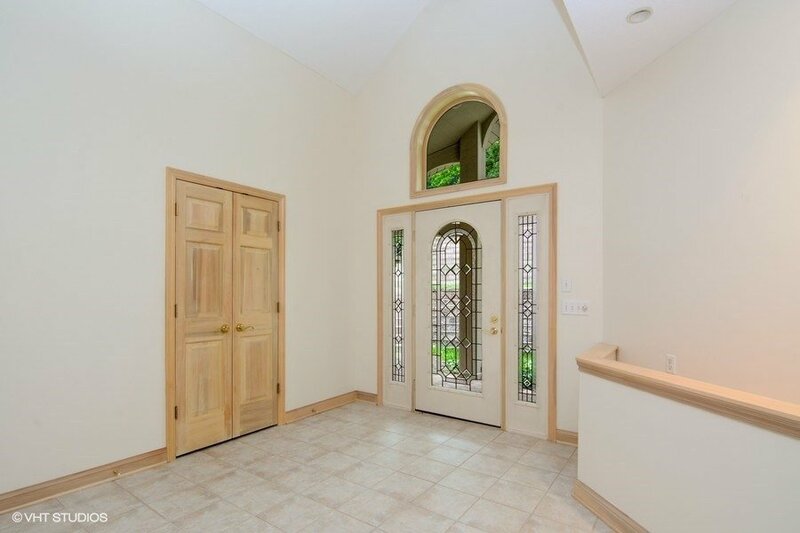 There is a "Jack and Jill" bathroom in between the bathroom that is zoned so that it can easily be shared by the adjoining bedroom. 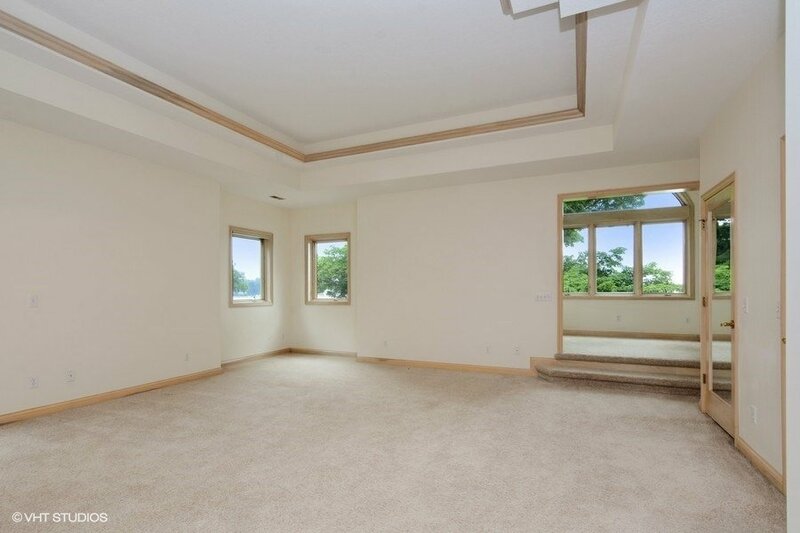 The other guest bedroom is very large as well and would be easy to share as well as being great for family guest room! 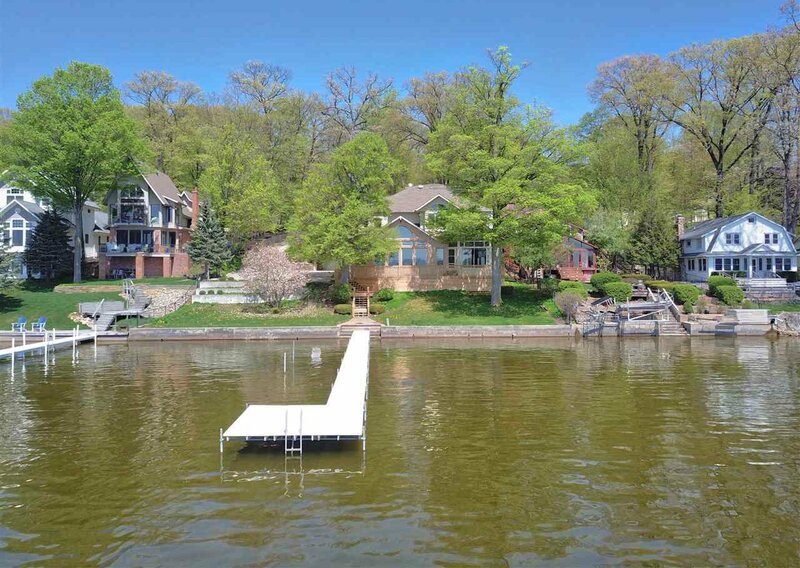 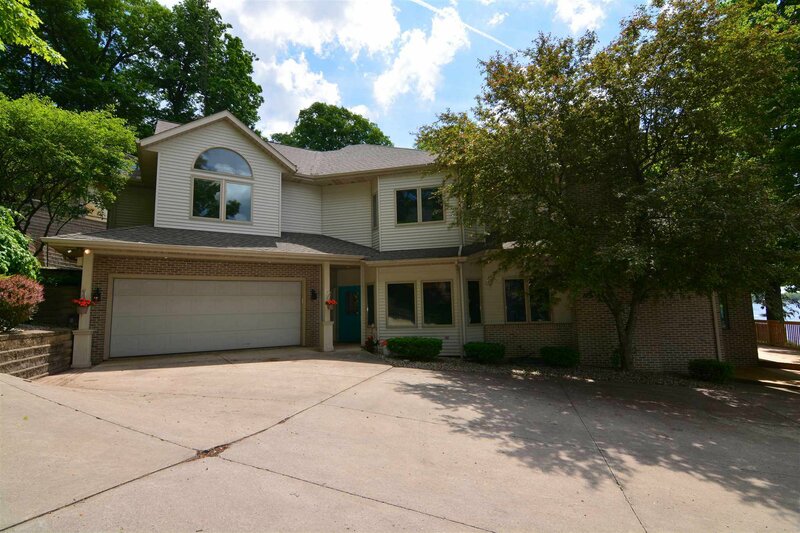 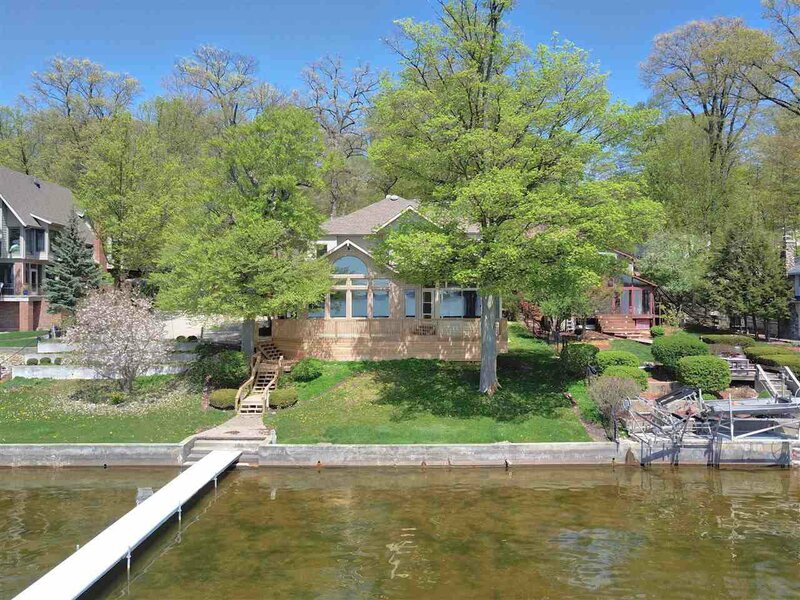 Lake Tippecanoe is ready for you to move in this amazing property! 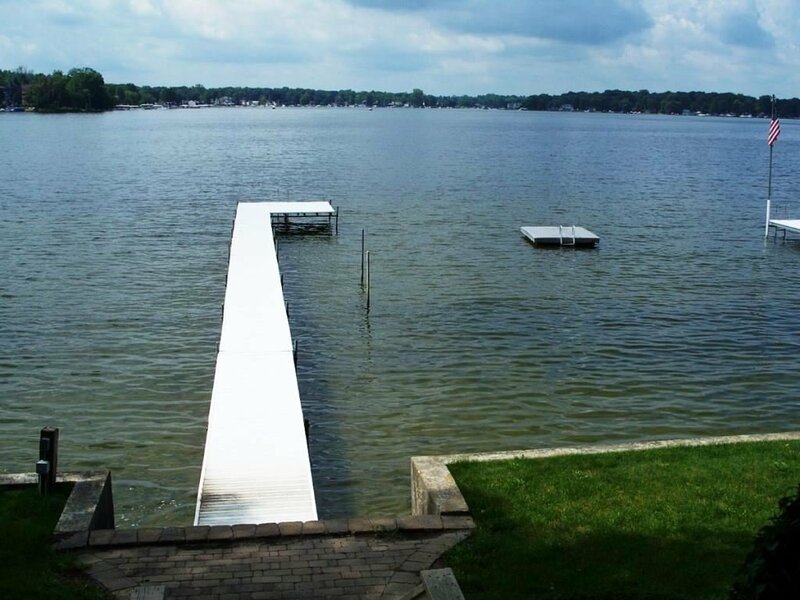 Indiana's Deepest Natural Lake providing you with all sports lake to enjoy your summer! 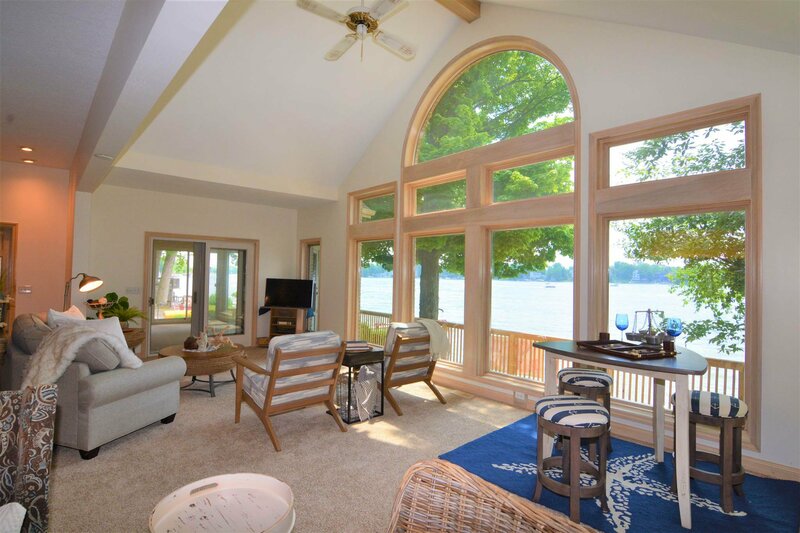 Guest house included in price.